"Reengineering the Corporation" has swept through corporate America with a force unprecedented in recent years. Hailed by "Business Week" as "the best-written, most well-reasoned business book for the managerial masses since "In Search of Excellence,"" the book has appeared on virtually every bestseller list, including a six-month run on "The New York Times" list. Reengineering has become a part of everyone's business vocabulary. It is undoubtedly the business concept of the nineties. 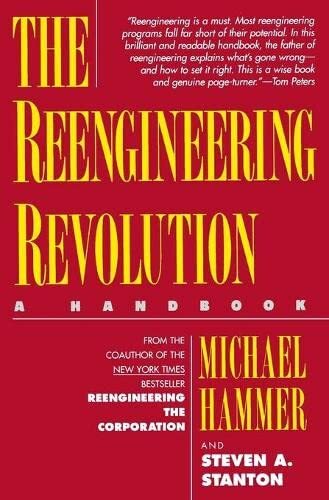 In "The Reengineering Revolution," Michael Hammer and Steven Stanton build on this foundation to share with readers their experiences in successfully implementing reengineering in companies around the world. In an easy-reading, anecdotal style, the book offers behind-the-scenes stories of reengineering successes and failures; practical techniques for key aspects of reengineering, from breaking long standing assumptions to managing change; and insights into the new ways of thinking that reengineering requires.